What a nice hip she has! 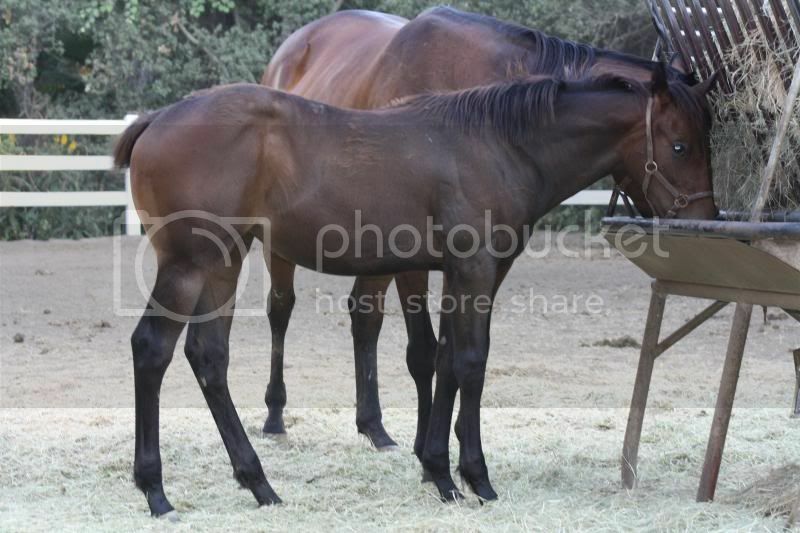 I love chunky foals. Oooo la la! Lovely filly! Siduri makes her debut tomorrow (Friday) in the first race at Golden Gate. 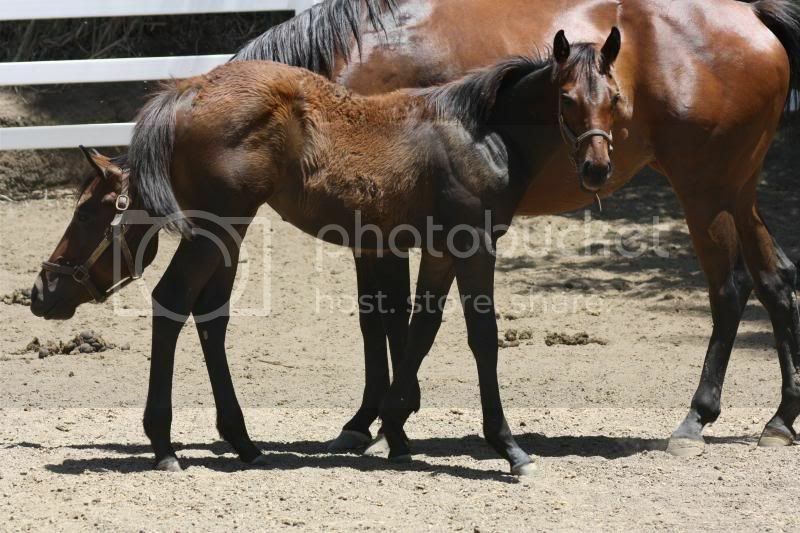 She'll be my first homebred to make it to the starting gate. Excited and nervous all at the same time. Siduri has won her last two races back to back at Turf Paradise. She never took a liking to the synthetic at Golden gate and just couldn't find her way to the winners circle. Since being sold privately to connections in AZ, she has run a 3rd, then followed that up by breaking her maiden and just yesterday ran back to win first time against winners by a commanding 2 1/2 lengths. I think she is better managed in a smaller barn, running on the dirt, and without blinkers. She seems to love it at Turf Paradise and is running and looking better than ever. I don't own her or her dam anymore but I still love following her, she will always have a special place in my heart as my first homebred to make it to the races and win. It's such a rewarding feeling regardless of what level they win at. Good story. Glad to hear she is thriving in her new home.